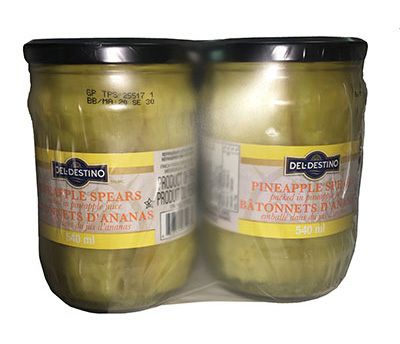 Sweet, hearty and delicious, Del Destino pineapple is ready to add flavor to a variety of dishes. Picked and packed when ripe, these pineapples are meaty, substantial and delectable. Evenly cut and bright yellow in color, Del Destino Pineapple Strips are the ultimate fruit to add to recipes.